Ninafuraha kuwa hapa nanyi siku ya leo. Siku hii ni muhimu sana kwetu sote. Let me take this opportunity to thank the organizers and also our friends in the European Union for being key partners with the UN in supporting this event. This year’s World Press Freedom Day’s theme: “Access to Information and Fundamental Freedoms: This Is Your Right!” is an important reminder for all of us that access to information is a human right. Before I convey my own messages today in Tanzania, I would appreciate if you would allow me to read the UN Secretary Generals statement commemorating World Press Freedom Day. Quote : Human rights, democratic societies and sustainable development depend on the free flow of information. And the right to information depends on press freedom. Each year, we observe World Press Freedom Day to emphasize these fundamental principles, to protect the independence of the media and to honour media workers who risk and have lost their lives in the exercise of their profession. This year, World Press Freedom Day coincides with three important milestones. It is the 250th anniversary of the world’s first freedom of information law, covering both modern-day Sweden and Finland, and it is the 25th anniversary of the adoption of the Windhoek Declaration of press freedom principles. Finally, 2016 is also the first year of implementing the Sustainable Development Goals. Press freedom and the free flow of information are necessary not only to inform citizens about the Goals, but to enable them to hold their leaders accountable for fulfilling the pledges they have made. The media – including, and increasingly, new online media — serve as our eyes and ears. We all benefit from the information they provide. A free, independent and safe media environment is essential. Yet, all too often, journalists are threatened, harassed, obstructed or even killed in the pursuit of information. Many languish in detention, some in appalling conditions, for shedding light on governance failures, corporate malfeasance or societal problems. Now, in terms of my own messages, I would like to address the importance of access to information, the Global Goals, and finally the need for Partnerships. First, on access on to information, as noted by the SG, it is fundamental to ensure it exists to allow citizens to be informed, educated and even entertained, three key functions of the media in any society. The SG has put it extremely well and I could not say it better. This is a message read all over the world and it is my duty to share it with you fully on behalf of the SG. All I would add though is that freedom of information involves a great responsibility in getting the facts right and in ensuring respect for everyone’s human rights. This is especially the case with online media, including social media, in which we have learned that many inaccurate but damaging information has been shared. I personally have experienced this mid last year. Related to this, you may wish to note that Goals 16 specifically has a target and indicator that addresses the need for accountability and the role of the media. It even seeks to monitor abuses against journalists. For this reason, we encourage all stakeholders to recognize the critical role played by the media and to respect the rights of all journalists. Second, I would like to address the SDGs or Global Goals. I know you heard a good presentation yesterday but I want to highlight the message. They are a Transformative agenda to address economic, social and environmental challenges by 2030. They set out 17 global goals to address the most pressing challenges faced by the planet and mankind. Development experts have found it helpful to group the goals into five pillars namely, People, Planet, Prosperity, Partnership and Peace. • The focus on People aims to end poverty and hunger in all forms and ensure dignity and equality. • The focus on the Planet aims to address action against climate change and protect our natural resources and environment for future generations. They give a new perspective to energy, consumption, biodiversity, oceans and industrialization. • And the focus on Peace aims to foster peaceful, just and inclusive societies while building strong institutions including justice institutions. The agenda is unique in that it calls for action by all countries, be they poor, rich or middle-income. The UN with governments around the world will continue to partner to embed the Global Goals in national planning processes as Tanzania has done with the Five Year Plan aimed at nurturing industrialization and promoting human development. And finally, my third message is on Partnerships and the partnerships we would as UN like to develop with different stakeholders. As noted already, the Global Goals involve everyone and the UN will aim to reach out to all sectors of society. This includes the private sector, the media, local governments, faith-based institutions, youth and women’s groups and others. In the case of the media we believe you have a key role to play in raising awareness about them and tracking the implementation of the Global Goals in Tanzania and the challenges encountered. I encourage you to develop specialized expertise on the global goals. The UN would like to work with you to ensure you understand the Global Goals and both advocate for and report on relevant issues. This would involve understanding and following up on the Five Year National Development Plan. As UN, our response to the Global Goals and the National Development Plan is the UNDAP, the UN Development Assistance Plan II which will begin in July this year. We are focusing on four themes and 12 development outcomes that address the Goals and how the National Development Plan has prioritized them. Lets all work together so that in the years to come, and especially in 2030, we can see what we have done both individually and as institutions. Allow me to end with a quote from Mwalimu Julius Kambarage Nyerere from his book Uhuru na Maendeleo Freedom and Development of 1973 where he said, “If real development is to take place, the people have to be involved.” There is no better way to celebrate this day than remembering this important principle. This entry was posted in Latest news on May 9, 2016 by Usia Nkhoma-Ledama. 28 April 2016, Dar es Salaam: Media professionals and stakeholders in the United Republic of Tanzania will this year come together in Mwanza to commemorate World Press Freedom Day – WPFD 2016. The event will be held at Malaika Beach Resort in Mwanza on May 2nd and 3rd, 2016. Hon. Mohamed Chande Othman, Chief Justice of Tanzania will officiate the event as the Guest of Honour. The event will also be graced by the Minister for Information, Sports, Culture and Artistes, Hon. Nape Nnauye (MP), UNESCO Representative and Head of Office, Ms. Zulmira Rodrigues, the UN Resident Coordinator, Mr Alvaro Rodriguez, H.E Roeland van de Geer, Head of the European Union (EU) Delegation and other diplomatic missions in Tanzania, among other dignitaries. This annual event profiles the fundamental principles of press freedom; provides a platform for all media sector actors to evaluate press freedom in the United Republic of Tanzania and around the world; promotes dialogue and calls for action to protect media workers from persecution in their line of work, and to pay tribute to journalists and other media professionals who have lost their lives in the line of duty. WPFD, observed annually across the world, was proclaimed by the UN General Assembly in 1993 following a recommendation adopted at the 26th Session of UNESCO’s General Conference in 1991. This in turn was a response to a call by African journalists who in 1991 produced the landmark Windhoek Declaration on Media Pluralism and Independence. WPFD has grown to become a forum for media stakeholders to urge States to stand by their commitments and joint action to put in place, friendly media laws and to ensure a general conducive working environment which guarantees press freedom in their respective countries. • The 250th anniversary of the world’s first freedom of information law, covering both modern-day Sweden and Finland. • The first year of the 15 year life-cycle of the new Sustainable Development Goals (SDGs). Against this background, World Press Freedom Day in 2016 highlights the links between press freedom, a culture of openness and the right to freedom of information, and sustainable development in the digital age. The common thread in all these is the role of journalism, and the importance of safeguarding those who bring this service to the public. The conference in Mwanza will provide a platform to discuss and deliberate on the implication of laws that the government has passed, including bills tabled in Parliament last year including the Cybercrime Act 2015, Statistics Act 2015, Media Services Bill and the bill for the Access to Information Law. A report on the state of media in Southern Africa authored by Media Institute of Southern Africa – MISA titled, So Is This Democracy? will be launched alongside a Gender Policy for Community Media developed by Gender and Media-Southern Africa (Tanzania Chapter) with support from UNESCO. The event is expected to attract over 250 participants from within Tanzania as well as from abroad. Representatives from the Government, Parliament, International Organizations and diplomatic missions have confirmed to attend. Others include media practitioners, Heads of National NGOs, Academia, members of the civil society and practicing journalists. The event has been jointly organized by a National Press Freedom Committee chaired by the Media Institute of Southern Africa-Tanzania Chapter (MISA) Tanzania Chapter, UNESCO, Tanzania Media Foundation (TMF), Union of Tanzania Press Clubs (UTPC), the United Nations Information Centre (UNIC),Tanzania Editors’ Forum (TEF) Media Council of Tanzania (MCT), Konrad-Adenauer-Stiftung Tanzania (KAS), Media Owners Association of Tanzania (MOAT), Tanzania Media Women’s Association (TAMWA), Mwanza Press Club and Tanzania Communication Regulatory Authority (TCRA). WPFD 2016 organizing Committee is proud to be associated with the United Nations System in Tanzania, the European Union Delegation and the US Embassy in Tanzania. We thank them for their support! If you are a media stakeholder, do not miss this premier media event of the year in Mwanza. This entry was posted in Latest news on April 29, 2016 by Usia Nkhoma-Ledama. Dar Es Salaam, Tanzania, April 27, 2016 – The Government of Tanzania has launched today Fursa Kwa Watoto (Kiswahili for “opportunities for children”), a program aimed at improving the quality of and access to pre-primary education for all children in mainland Tanzania. Led by the Ministry of Education, Science, Technology and Vocational Training, the program is funded by Dubai Cares, UNICEF and the Hewlett Foundation and implemented by national, regional and local governments and partners such as Children in Crossfire, Aga Khan University, Maarifa ni Ufunguo and TAHEA. The evaluation component, which will produce important data on pre-primary education in Tanzania, is led by Mathematica Policy Research with Corporate Social Responsibility Group Africa (CSR). At a press conference marking the launch of the program, Mr. Nicolas Buretta, Acting Director of Basic Education, said: “The Ministry of Education, Science, Technology and Vocational Training is proud to lead the Fursa kwa Watoto initiative, in partnership with Dubai Cares, UNICEF, Children in Crossfire and other important partners. Pre-primary education is a key priority for the nation, and Fursa kwa Watoto is contributing valuable experience and evidence on the strategies we will need to expand quality pre-primary education for all children in Tanzania. A delegation led by Dubai Cares’ Chief Executive Officer Tariq Al Gurg and consisting of United Arab Emirates-based media and Dubai Cares employees arrived in the country earlier this week and plans to visit schools to take stock of the program’s implementation on the ground so far. With funding of around US$ 5.8 million the the “Fursa kwa Watoto” initiative will provide quality pre-primary education to more than 29,000 children in Tanzania, though the impact is expected to be much greater, as the experience and data can guide plans for the expansion of quality pre-primary nationwide. Quality pre-primary education has a lasting impact on a child’s school achievement, number of years of education and completion. Yet most children in Tanzania miss out on these benefits as only 34% of all 5 to 6 year-olds are enrolled in pre-primary school. These figures are much lower in rural areas, and the quality of pre-primary education faces many challenges. As a result, the majority of children are ill-equipped for primary schooling and do not have the necessary foundation for effective learning. The Government of Tanzania has shown growing commitment to early learning for children and in 2015 it introduced one year compulsory pre-primary as part of basic education. As it works to expand access, the government is also committed to improving equity and investing in quality to guarantee children enter Standard I ready to learn. Fursa Kwa Watoto is an important support to the government’s effort in ensuring equitable access to quality pre-primary education for all children in Tanzania. Dubai Cares, part of Mohammed bin Rashid Al Maktoum Global Initiatives, is a UAE-based global philanthropic organization working towards providing children in developing countries with access to quality education. Our mission to increase children’s access to quality education is guided by a common principle: children ready for schools, schools ready for children, parents and the community ready to play their role. Gender equality is a cross cutting theme in all Dubai Cares’ education programs. Central to Dubai Cares’ approach is also a focus on monitoring, evaluation and learning. Over the past 9 years, Dubai Cares has successfully launched education programs reaching over 14 million beneficiaries in 41 developing countries in partnership with UN aid agencies and international and local NGOs such as the United Nations Children’s Fund (UNICEF), United Nations Relief and Works Agency for Palestine Refugees in the Near East (UNRWA), Bill and Melinda Gates Foundation, Plan International, World Food Program, Pratham, Idara-e-Taleem-o-Aagahi, Associates in Research and Education for Development (ARED), CARE International and Save the Children among others. Dubai Cares is an active contributor to efforts aimed at shaping the global education agenda. In 2015, the organization joined United Nations representatives and other relevant agencies in New York to discuss the Sustainable Development Goals (SDGs) for the next 15 years. To learn more, please visit www.dubaicares.ae. Established in 1996, Children in Crossfire help the most vulnerable children on the planet who suffer from the injustices of poverty. Over the past 20 years we have worked in many countries in Africa, Asia & South America and supported thousands of children. Today our focus is Tanzania and Ethiopia where we work with young children to give them the best start in life. We improve early childhood education services, provide nutritional support and health education to the most vulnerable families and we partner with parents, communities and local and national authorities. We believe that working in this way helps children reach their potential. This entry was posted in Latest news on April 27, 2016 by Usia Nkhoma-Ledama. 23 april 2016, New York: Today, the governments of the world made history – just as they did last December in Paris at COP21. With their signatures today, governments have made a covenant with the future. The children who were with us this morning reminded us of our responsibility to them and to future generations. The words they wore on their shirts said it clearly: “your promise, our future”. Today’s signing is a vote of confidence in a new approach to climate change. It is imperative this strong political momentum continues to grow. If all the countries that have signed here today join the Agreement at the national level, the world will have met the legal requirement for the Paris Agreement to enter into force — 55 countries accounting for 55 per cent of global greenhouse gas emissions. I will do everything I can to help us reach this goal. This afternoon I was pleased to hear several large emitter countries announce they will ratify in 2016. I encourage all countries to raise their level of ambition. I urge world leaders to continue to provide direct political oversight and guidance. And I will look to civil society and the world’s young people to hold Governments to account for the promises they made today. This covenant with the future is a covenant with you. Hold them to it. It has been a long journey to this moment – and that journey still continues. When I look out at the horizon, I see, more clearly than ever, the outlines of a new and better world. The 2030 Sustainable Development Agenda is a major step forward for people and the planet. The World Humanitarian Summit I am convening in Istanbul, Turkey on May 23rd and 24th will be a critical opportunity to enhance our support to the most vulnerable and reaffirm our common humanity. Let us continue to build on the historic progress of today – and move swiftly, with courage and determination, to usher in the new era we know can be ours. This entry was posted in Sustainable Development Goals-SDG's on April 25, 2016 by Usia Nkhoma-Ledama. 22 April 2016, New York: In Paris last December, countries embraced the spirit of multilateralism and showed how to work together to meet a common threat. Today marks the next step in our shared journey to meet the climate challenge. 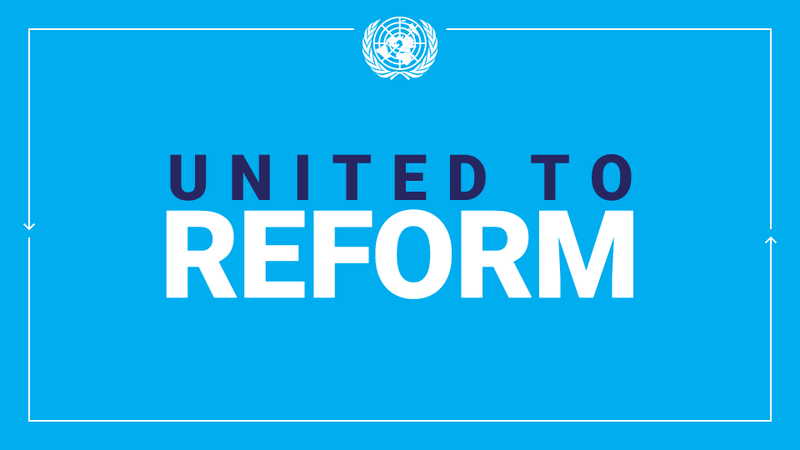 I warmly congratulate the 15 Parties that have deposited their instruments of ratification with the United Nations today and I am very much grateful. And I really want to make a point of recognizing each [of them] by name – this is what I have been doing for the third time [today]. I was told by our communication expert [that] when you really have a message to deliver, repeat it all the time! Repeat it, so that when your name is not included in the 15 then you may be motivated or even provoked to work, work even harder. Out of my gratitude, I would like to again list the names: Barbados, Belize, Fiji, Grenada, Maldives, Marshall Islands, Mauritius, Nauru, Palau, Palestine, Saint Kitts and Nevis, Saint Lucia, Samoa, Somalia and Tuvalu. I am very much grateful for all your very active decisive actions. Many of you are on the frontlines of climate impacts – and today you are showing that you are also on the frontlines of global leadership. I also congratulate those countries that have indicated that they intend to join the Paris Agreement this year, within this year. I encourage all countries to move forward quickly with their own domestic processes to accept and ratify the Paris Agreement. As you are well aware, we need at least 55 countries and 55 per cent of greenhouse gas emissions. Having 55 per cent of greenhouse gas emissions may be a little bit shorter and easier if United States and China – they ratify or join then it will add to almost 40 per cent. But at least we need 55 countries. That means we need to have a universality of this, of course 55 is not universality. One hundred and seventy-five countries is quite close to universality. And it is a great commitment of Parties to UNFCCC. I call on the countries gathered here to use this opportunity to announce your timeline for joining the Agreement as soon as possible. It is imperative that the strong political momentum continues to build as the spirit of Paris is still continuing. I will do all that I can this year to ensure that the Paris Agreement enters into force as soon as possible. Again, thank you very much Mr. Prime Minister for your initiative of convening this meeting for early ratifiers. This is a great opportunity to impress upon the importance for early action. 22 April 2016, New York: En décembre dernier à Paris, la communauté internationale a adopté le premier accord universel sur le climat. Chaque pays s’est engagé à réduire ses émissions et à renforcer sa résilience face aux effets potentiellement dévastateurs des changements climatiques. Aujourd’hui, au moins 171 pays se retrouvent ici à New York pour signer l’Accord de Paris. Arrêtons-nous et songeons-y un instant. C’est un moment d’histoire. Jamais auparavant un aussi grand nombre de pays n’avait signé un accord international en une seule journée. Je félicite tous les pays qui signent ce matin et je salue tout particulièrement les 15 Parties qui vont egalement deposer leurs instruments de ratification, que je me fais un devoir de citer : la Barbade, le Belize, les Fidji, la Grenade, les Maldives, les Îles Marshall, Les Iles Maurice, Nauru, les Palaos, l’État de Palestine, La Féderation de Sain Christophe et Niéves, Sainte-Lucie, le Samoa, la Somalie et Tuvalu. We are breaking records in this Chamber – and that is good news. But records are also being broken outside. Record global temperatures. Record ice loss. Record carbon levels in the atmosphere. We are in a race against time. I urge all countries to move quickly to join the Agreement at the national level so that the Paris Agreement can enter into force as early as possible. The window for keeping global temperature rise well below two degrees Celsius, let alone 1.5 degress, is rapidly closing. The era of consumption without consequences is over. We must intensify efforts to decarbonize our economies. And we must support developing countries in making this transition. The poor and most vulnerable must not suffer further from a problem they did not create. Let us never forget — climate action is not a burden; indeed, it offers many benefits. It can help us eradicate poverty, create green jobs, defeat hunger, prevent instability and improve the lives of girls and women. Climate action is essential to achieve the Sustainable Development Goals. Many people contributed to the COP21 negotiations in Paris and to the preparations for this event. I acknowledge their tireless efforts, particularly the work of the UNFCCC Secretariat. Today is a day that I have worked toward since day one as Secretary-General of the United Nations and declared climate change to be my top priority. Today you are signing a new covenant with the future. This covenant must amount to more than promises. It must find expression in actions we take today on behalf of this generation and all future generations; actions that reduce climate risk and protect communities; actions that place us on a safer, smarter path. This morning we will be joined by 197 children, representing the Parties that adopted the Paris Agreement. Of course, they represent more than this. These young people are our future. Our covenant is with them. Today is a day for our children and grandchildren and all generations to come. Together, let us turn the aspirations of Paris into action. As you show by the very act of signing today, the power to build a better world is in your hands. Thank you very much for your leadership and commitment. Merci beaucoup. 21 April 2016: On 19 April 2016, the members of the Security Council were briefed by the President of Somalia, His Excellency Hassan Sheikh Mohamud, on political progress in Somalia. The Special Representative of the Secretary-General for Somalia, Michael Keating, and Permanent Observer of the African Union to the United Nations, Ambassador Tete Antonio also briefed on the situation in Somalia. The members of the Security Council expressed their full support for Special Representative Keating and the United Nations Assistance Mission in Somalia. The members of the Security Council commended President Hassan Sheikh Mohamud and the Federal Government of Somalia for the political progress made in Somalia in the last four years, in particular the agreement on a model for the electoral process planned for August 2016, which should be a stepping stone to one person one vote elections in 2020. They commended the Federal Government’s commitment to reserve 30% of seats in the Upper and Lower Houses of Parliament for women. The members of the Security Council called on the Parliament to endorse swiftly the implementation plan decided by the National Leadership Forum as soon as possible. They underlined that a peaceful, transparent and inclusive electoral process in 2016 will mark a historic step forward for all Somalis, and will be fundamental for the country’s continued progress towards democracy and stability. The members of the Security Council recalled their expectation that there shall be no extension of the electoral process timelines in Somalia. The members of the Security Council called for progress on the constitutional review process and for the completion of the federal state formation process to be accelerated. They underlined the importance of good faith cooperation between federal and regional authorities in Somalia on these issues. The members of the Security Council expressed grave concern at the fragility of the security situation in Somalia. They reiterated their strong condemnation of attacks and recruitment of children by the terrorist group Al-Shabaab and paid tribute to AMISOM and the Somali National Army for their efforts in reducing the threat posed by Al-Shabaab. The members of the Security Council underlined the importance of the continuation of offensive operations against Al-Shabaab by the Somali National Army and AMISOM, in a well-coordinated manner and in line with the qualitative improvements requested in Security Council resolution 2232 (2015), and in full compliance with international humanitarian law and the protection of civilians. The members of the Security Council were briefed by the African Union on the financial, operational and logistical challenges facing AMISOM. They underscored the importance of enhancing command and control, and improving coordination within AMISOM, as well as the swift appointment of a Force Commander, as contained in the Conclusions of the Summit of the Troop and Police Contributing Countries of AMISOM in Djibouti on 28 February, and called for the swift and full implementation of these commitments. The members of the Security Council paid tribute to the work of the Special Representative of the Chairperson of the African Union Commission (SRCC) for Somalia, Ambassador Francisco Caetano Jose Madeira. They underlined the importance of ongoing cooperation between the United Nations and the African Union, including through regular briefings by the SRCC to the Security Council. The members of the Security Council welcomed the efforts made by the Federal Government of Somalia to strengthen the capacity and accountability of Somali security institutions, including the completion of the National Threat Assessment and draft National Security Policy. They urged the swift completion of the National Security Policy and National Security Architecture. The members of the Security Council welcomed the Federal Government of Somalia’s steps to establish professional, inclusive and accountable security forces, with sound financial management. They expressed their full support for this process, encouraged the Government to intensify efforts and urged Member States to contribute to this process. The members of the Security Council reiterated that security sector reform is critical to enable Somalia to assume control of its own long term security. The members of the SC expressed concern about the fragile humanitarian situation in Somalia and the humanitarian impact of El Niño, they urged all parties to facilitate timely, unhindered and safe access for humanitarian actors and to find durable solutions for the 1.1 million Somalis internally displaced, and appealed donors to increase support to the humanitarian appeal for Somalia. The members of the Security Council reiterated their support for peace, stability and development in Somalia. This entry was posted in Latest news on April 25, 2016 by Usia Nkhoma-Ledama. In the next decade, most of the world’s acutely vulnerable people will be living in fragile and conflict-affected cities and States. If current trends persist, conflict will continue to consume 80 percent of humanitarian funding, setting back development by trillions of dollars. In 2014, over 13 per cent of the global economy was drained away by violence and war. The costs of protracted violence and deepening fragility will lead to lost childhoods, lost lives and lost opportunities. We must find a better way to not only save lives now, but also to address the root causes of fragility and build resilience over the long term. Doing so must be underpinned by strong political leadership to resolve and prevent conflict. The human and financial costs of not doing so are simply too high. In the absence of political solutions from Syria to Iraq to the Central African Republic, there are severe limits to what principled humanitarian action can achieve. When it comes to addressing fragility, international leaders, the United Nations and civil-society partners made history with the 2030 Agenda for Sustainable Development when they pledged to leave no-one behind and to reach those furthest behind first. In doing so, international leaders promised to put the needs and priorities of the most-vulnerable people at the forefront of all development efforts. Turning this promise into action is fundamental to realizing the UN Secretary-General‘s vision for the first-ever World Humanitarian Summit on 23 and 24 May in Istanbul: to commit to moving from delivering aid to ending need. To end need, we must stop thinking about relief and development as a sequence. Instead, we must find new ways to comprehensively reduce vulnerability and risk while in tandem meeting pressing humanitarian needs in line with humanitarian principles. This shift will disrupt our current model, in which humanitarian, development, peace, security and other institutions simultaneously work on different projects to different time frames and budgets within the same communities. Instead, wherever operationally possible, national Governments, humanitarian and development agencies, civil society and the private sector will need to work together to set common goals and outcomes over multiple years. This will require us to work transparently to develop a common understanding of the risks and vulnerabilities people face in each context and prioritizing how to address them together. It will require each of us to overcome institutional barriers and plan our work based on each institution devoting their best services, skills and experience, context by context. We look to an end to the short-term projects, launched year after year, which have dominated humanitarian response for the past decades and provided little strategic vision for focusing on results for the people we serve. In the cases of DRC, Somalia and Sudan, annual appeals have been repeated for 13 years running. People do not want simply to survive; they want to improve their life prospects and those of their children. Long-term improvement requires genuine partnerships with local partners built on trust, sustainable support, and sharing of resources and knowledge. Partners must, where appropriate, support existing national and regional capacity, scaling it up and complementing it when necessary, rather than replacing national systems with heavy international ones. This should be done without impinging on the humanitarian principles of neutrality, impartiality, independence and humanity. In the right context, humanitarian cash-based programmes should become the norm, not the exception, and they should build on national and regional safety nets that can strengthen social-protection systems. World Vision and many others offer assistance in the form of cash in responses as diverse as Lebanon and Jordan, South Sudan and Nepal. Going forward, cash assistance will be increasingly crucial to promote the resilience and dignity of children, families and communities affected by disasters. We must also transform the way that we invest in reducing vulnerability. It is common sense to act early to reduce risk rather than waiting for full-blown crises to play out. Predictable multi-year funding would enable better strategic planning for impact, rather than the current model that focuses on agencies’ outputs. We need the transparency of medium-term goals for assessing whether we are truly reducing needs. To achieve all this, we must stop supporting isolated projects that prolong the fragmentation of services and the chaos after a crisis. Businesses, civil society, faith groups and youth each have a vital role in bridging the divide between relief and development. OCHA and World Vision are engaged in relationships with a variety of partners that are giving better outcomes. Examples are diverse and include the private sector in East Africa, faith groups in West Africa as part of the Ebola response, and civil-society leaders and youth in the Central African Republic. We are sure that as we scale up these relationships around the world, we will increase the quality, reach and effectiveness of our responses. Starting with the commitments we make at the World Humanitarian Summit, we must all agree to stop simply providing supplies to the world’s most exposed, defenseless people. Instead, we must listen to them and their calls for self-sufficiency and help in reducing their vulnerability over the long term. At the Summit, World Vision will put forward bold commitments relating to financing, urban response and innovation, child protection, peacebuilding and partnerships. The UN Secretary-General is calling for strong commitments from global leaders, donors, business, investors and aid agencies to make the necessary changes that leave no one behind, and which close the relief-to-development divide once and for all. This entry was posted in Op Ed on April 25, 2016 by Usia Nkhoma-Ledama. 22 April 2016, New York: International Mother Earth Day is an opportunity to highlight the interdependence between people and the astonishing variety of species with which we share this planet. This year’s observance brings hope of a better future for all. On this day, representatives of more than 170 countries are gathering at UN Headquarters in New York to sign the Paris Agreement on Climate Change. This landmark pact, in conjunction with the 2030 Agenda for Sustainable Development, holds the power to transform our world. The momentum achieved by so many signatures on one day sends a clear signal of solidarity and resolve. Now we must unleash the full force of human ingenuity and ensure low-emission growth and improved climate resilience. Leadership from the top is crucial. But each of us has a role to play. We can make energy-efficient choices, stop wasting food, reduce our carbon footprints and increase our sustainable investments. Small actions, multiplied by billions, will bring about dramatic change, bolstering the Paris Agreement and setting us on a trajectory to achieve the Sustainable Development Goals. The theme of Earth Day 2016 — Trees for the Earth — highlights this perfectly. One tree on its own may not seem much, but the Earth Day Network plans to plant 7.8 billion trees over the next five years—each one absorbing harmful CO2 from the atmosphere, storing water and filtering pollutants for the benefit of all humanity. As each tree plays its part in the biosphere, so should we as individuals who care about our planet and every living creature on it. A new future can be ours if we respect and invest in Mother Earth. This entry was posted in UN SECRETARY GENERAL MESSAGES on April 25, 2016 by Usia Nkhoma-Ledama. The distribution of core relief items provided by the UN Refugee Agency is planned to begin today in order to assist the people affected by the earthquake that struck Ecuador last Saturday (16 April). This is subject to agreement with the authorities locally. The materials, including some 900 tents, 15,000 sleeping mats, 18,000 repellent-impregnated mosquito nets, plastic sheets and kitchen sets, left UNHCR’s global logistics hub in Copenhagen and arrived in Quito on Wednesday night. They were loaded onto 16 trucks and transported over badly damaged roads to Santo Domingo, in the centre of the country, and will be taken today to three locations in Manabi Province: Manta, Pernales and Portoviejo. The aim is to deliver these items to some 40,000 people – refugees, asylum-seekers and local citizens alike – in the communities most affected by the earthquake. UNHCR has already delivered tents and plastic sheeting to Esmeraldas, Jama and Canoa, and has begun work on the construction of a camp to provide essential shelter to scores of displaced families. At least 580 people died in the 7.8 magnitude quake that shook Ecuador’s coast last week, and over 8,000 people were injured. In the worst-affected areas, approximately 40,000 people still need emergency relief items, such as tents and jerry cans. These people are particularly at risk, as many are refugees from neighbouring Colombia. Ecuador is the biggest refugee-hosting country in Latin America, providing international protection to over 200,000 Colombian refugees, many of whom had settled in the earthquake-affected areas. UNHCR is committed to helping the Government Ecuador and its people with support for refugee and host community populations. One year after the Burundi crisis began, almost 260,000 people have fled to nearby countries and thousands more could join them over the rest of the year unless a political solution is found and a descent into civil war averted. People continue to arrive in neighbouring countries, albeit in smaller numbers in recent weeks as it becomes harder to cross borders. Many asylum seekers or new arrivals report human rights abuses in Burundi, including torture, sexual violence, arbitrary detention, intimidation, forced recruitment by militia, killings and extortion. To date, 259,132 people have fled the country, and we are planning our humanitarian response based on a figure of some 330,000 refugees by year’s end. Continuing international support is needed to help ease the tension and encourage an inclusive dialogue. With mass returns not currently expected soon, UNHCR will in the coming year put greater emphasis on education for children and youth, and encourage refugees to become self-sufficient at a time when budget shortfalls are leading to cuts in some assistance. UNHCR is seeking almost US$175.1 million for its Burundi crisis operations this year, but has received only US$47.8 million to date, or some 27 per cent. This means we are struggling to provide even the basics such as shelter, household items and latrines. The provision of services such as specialized counselling, care for the disabled and elderly, protection of the environment and even primary health care may also fall by the way side. Meanwhile, the worsening economic conditions inside Burundi could exacerbate the situation, fuelling further displacement and making return conditions less favourable. Most of the refugees and thousands of internally displaced will probably not return home under present conditions. But for those in Tanzania (135,941 refugees), Rwanda (76,404), Democratic Republic of the Congo (22,204) and Uganda (24,583), conditions in exile are tough and a large influx would make their lives even more challenging. These countries continue to generously accept people, despite space restrictions and capacity problems. But they will need increased international support to host more people. We urge host countries to keep their doors open and donors to continue and step up support for the refugee response. In Burundi, the situation one year on is tense and marked by sporadic violence, which has killed more than 400 people since last year. People continue to cross from the provinces of Ruyigi, Muyinga, Kirundo, Rutana, Makamba, Rumonge, Bujumbura and Kibitoke to neighbouring countries, but there are also small numbers of people returning spontaneously. At least 25,000 people have fled to safer areas in Makamba, Rutana and Kirundo, but freedom of movement is becoming harder. Tanzania, which hosts the largest number of Burundian refugees, has been admitting an average 130 people a day. The bulk of the newly arrived Burundian refugees (more than 71,000) are living in the overcrowded Nyarugusu camp, which is now one of the largest refugee camps in the world with 140,540 refugees. Conditions are very difficult and UNHCR has put a priority on decongesting the camp. The rest live in Nduta and Mtendeli camps, which were reopened to ease congestion in Nyarugusu. But Nduta has reached its 55,000 capacity and from next week new arrivals will be taken to Mtendeli. Management of the environment is a key issue in Tanzania, with deforestation in and around the refugee camps a concern for UNHCR. The government has asked us to stop using wooden poles to erect shelters and to distribute fuel-efficient stoves. In Rwanda, new arrivals continue to be registered at a rate of around 130 per week. More and more urban refugees are approaching UNHCR to move to Mahama camp, in Eastern province, after spending the last of their savings to keep alive. This adds to the urgent need to construct more shelters in the camp, which is home to nearly 48,500 refugees—nearly half of whom are children. In Uganda, the rate of new arrivals has been relatively stable in recent weeks, averaging between 150-250 week (25-35 a day) in April. Last week saw 167 Burundian refugees arrive at the Nakivale settlement in the southwest of the country. Refugees report difficulties crossing borders, especially without papers. The number of Burundian refugees in the Democratic Republic of the Congo (DRC) has steadily increased. About 900 refugees were registered in each of the first three months of the year. They included newly arrived Burundians and those who have been in the country for a while. Most are staying at the Lusenda camp, which now hosts more than 16,000 refugees and has a capacity for 18,000. Other refugees are staying with host families in straitened circumstances. To improve conditions, UNHCR has this year built more shelters and health facilities and upgraded the water system. Supporting peaceful coexistence between refugees and the host community is a priority. This entry was posted in Burundi on April 25, 2016 by Usia Nkhoma-Ledama.